J. Gary Shansby, the San Francisco investor with a passion for Mexico, and Sofia Partida, the Orange County mom who has re-connected with her Guadalajaran roots, founded Partida in 2005. Baked in stainless steel ovens for approximately nine hours, the juice is twice fermented in used French-Canadian oak whiskey barrels purchased from Jack Daniel's in Lynchburg. recent taste test conducted by The Academy of Tequila, the official Tequila tasting board of Mexico. 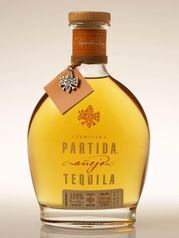 The June 2010 issue of The Spirit Journal, rated Partida Reposado the best Tequila in the world (Partida Elegante Extra Añejo ranked #3) and one of the top five spirits in the world. 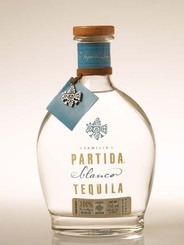 Redolent of blue agave, Partida Blanco is brilliant, clean and crisp; very floral, with notes of citrus. 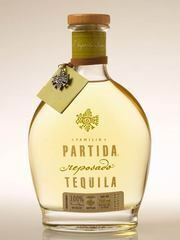 Well balanced with a fresh, pure agave flavor and a pleasant finish that lingers gently on the palate. without the overbearing smoky flavor common to so many Reposados. Beautiful light amber color with golden tones, transparent and clean, brilliant and full bodied. Aromas of chocolate and vanilla, hazelnut and almond, and a deep, rich finish. Aged 18 months, Partida Añejo exhibits a depth of flavor that only comes from advanced aging. Intense golden color with ochre and copper tones; clean and full bodied. A fruity aroma with notes of cherry, almond and spices. Soft honey fruit tones, with flavors of spices and dried fruits reminiscent of sweet pear and almond, and a very pleasant finish. Tequila to be savored slowly.